The Brick Man, Ryan McNaught is visiting Melbourne for the school holidays, and Sydney in July, for an amazing LEGO exhibition. Experience LEGO like never before! For 13 days only from March 31st until April 12th, an incredible LEGO Model exhibition will be in Melbourne! 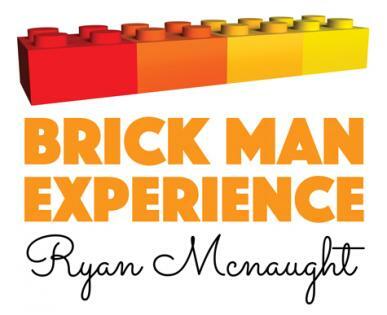 For the first time ever, Ryan McNaught, also known as The Brick Man will be exhibiting his remarkable collection of over 50 LEGO works at the Brick Man Experience. More than 50 original works will be featured along with their own unique behind the scenes story, including original drawings and sketches. A variety of Ryan’s LEGO works will be displayed with over 5 million LEGO bricks making up the works! These works include Ryan’s world-renowned pieces, 4m long “Elvis” Erikson Aircrane Helicopter, and the famous 250,000 Brick LEGO “Love Boat”. In addition to Ryan’s pieces, for the first time anywhere in the world, works from other LEGO Certified professionals will be displayed, based around the “Transport” theme from their native country. 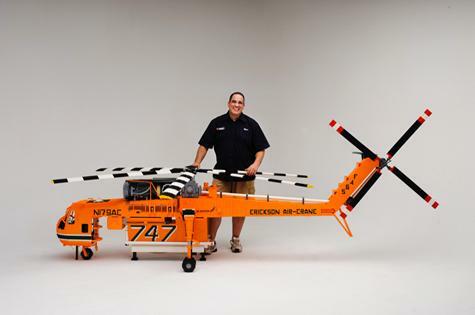 Ryan 'The Brick Man' McNaught is proud to be one of only 12 LEGO Certified Professionals in the world, and the only one in the Southern Hemisphere. Once a slave to the corporate world, Ryan had no hesitation in trading in the boardroom for a LEGO baseplate! Tickets to the Melbourne show at The Exhibition Hall, Crown Conference Centre, are on sale now via brickmanexperience.com.au. The Brick Man Experience will also be in Sydney from June 27th until July 12th. “I am thrilled for the first time ever to have all my works together on display. I’ve also got a few exciting things for people to participate in, so hopefully they too can get pleasure out of creating brick masterpieces as well as enjoying our works – it’s going to be heaps of fun!” said Ryan McNaught.